At Old Mill Lodging you can enjoy lodging in The Old Mill tradition. 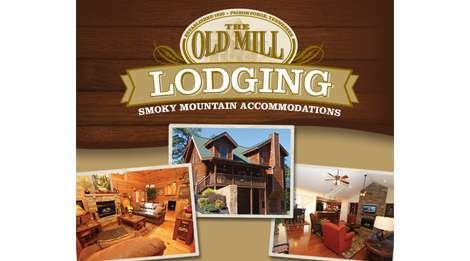 The Old Mill in Pigeon Forge is proud to bring you unique overnight cabin and condo rentals in the Smokies. From 3 to 6 bedroom mountain homes with luxurious amenities to 1 to 3 bedroom condos located just minutes from popular Pigeon Forge attractions, you’re sure to find the perfect accommodations for family vacation or group retreat. Take advantage of Old Mill lodging and dining specials while visiting The Old Mill Squarein The Old Mill historic district at stoplight #7 on the Parkway in Pigeon Forge. For more information on booking your stay, feel free to call Old Mill Lodging today! TheHistoric Old Mill – See how farmers once employed the greatest in 19th century hydropower technology to grind flour and meal. The Old Mill Square – At The Old Mill Square you can enjoy restaurants and specialty shops during your Pigeon Forge stay.